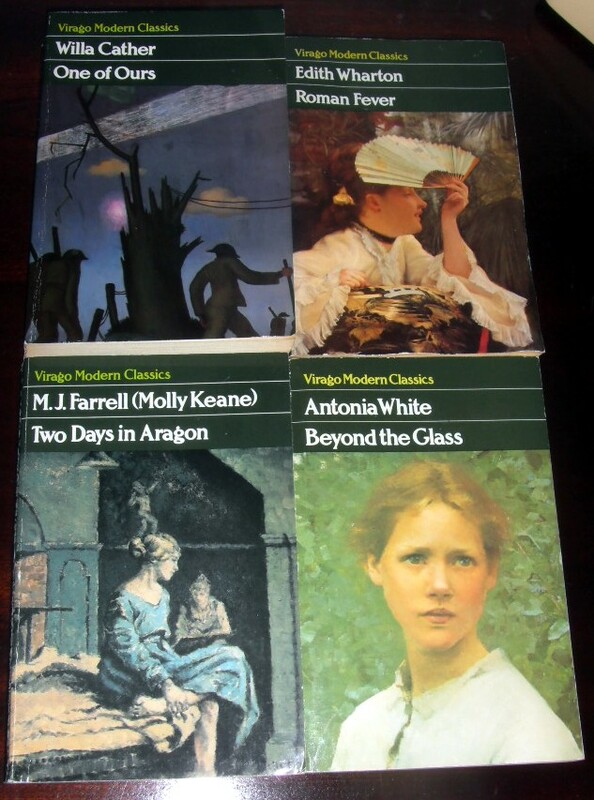 #ViragoAuthorOfTheMonth – an even wider choice…. ! The writer in question is Willa Cather, and a quick examination of the stacks revealed that I own a significant number of her books…. However, what it also revealed was how few of her works I’ve actually read. If I’m honest, I think the only one I can be sure of is the short story “Come, Aphrodite” – which is pretty terrible when you consider how many of her books I have in the house. 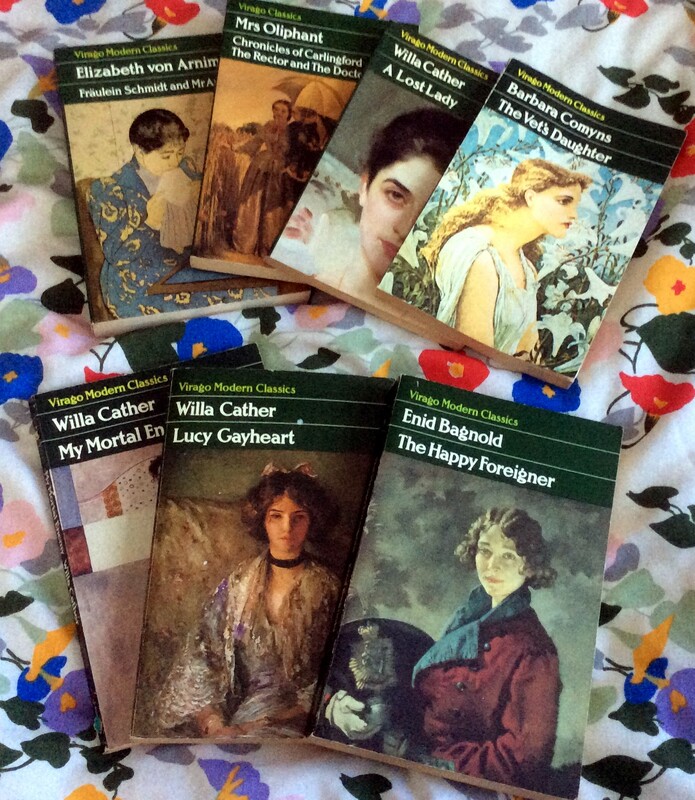 I’ve picked most of these up when I happened to come across them in charity and second-hand book shops, although I did specifically search out “One of Us” for a Virago group read along – which I never actually ended up taking part in…. Typical me! The beautiful edition of “My Antonia” came thanks to a giveaway by the lovely HeavenAli and I should be ashamed that I haven’t read it yet. But the others are so appealing as well – “Alexander’s Bridge” comes highly recommended, and “A Lost Lady” sounds fascinating. An Interesting-Looking Pile of Books…. … and I would be fibbing if I said they didn’t arrive over the weekend…. I *have* been doing quite well with reading from the TBR, and last month’s books were a mixture of new volumes and ones I’ve had for a while. 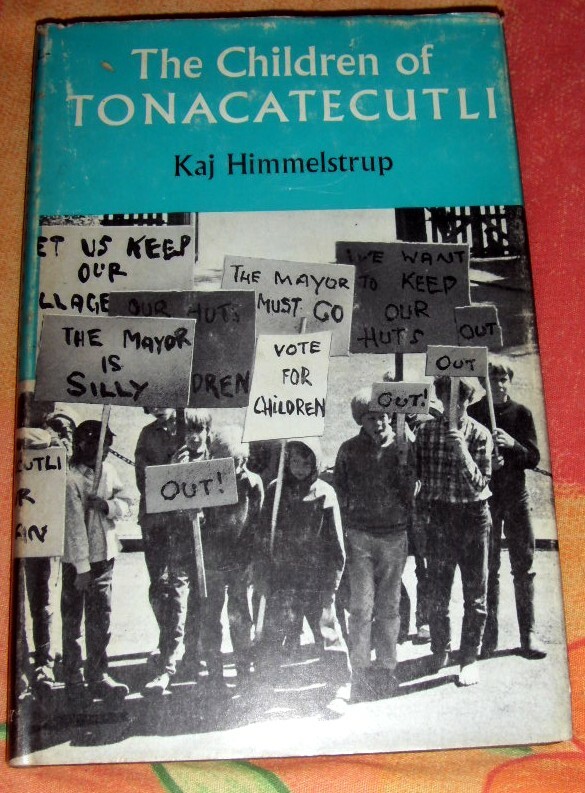 And my current reads are also from the stacks. However, this hasn’t stopped a few bargains from making their way into the house! 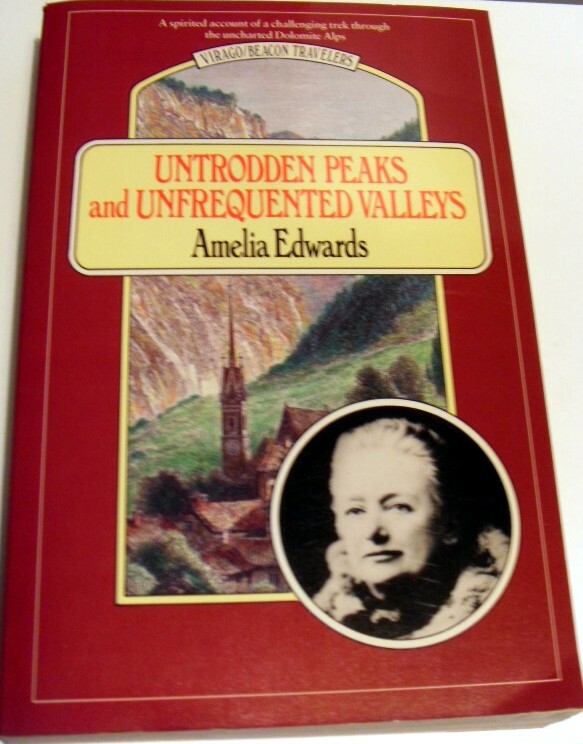 I was keen to pick this up having read up about Amelia Edwards and what a pioneer she was in the field of exploration and also detective stories, so I confess to sending away for this! These two bargains came from the British Heart Foundation charity shop – I spotted the copy of Stoner last week and as it keeps coming up on blogs, I figured I really should read it! 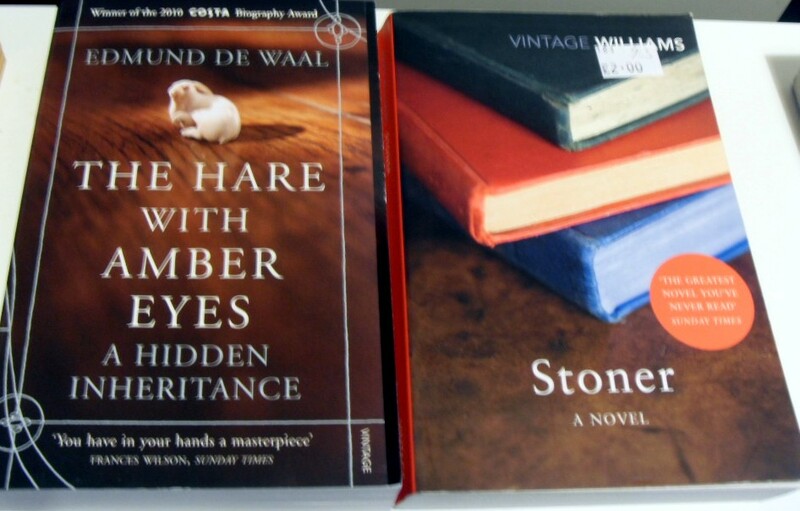 Likewise The Hare With Amber Eyes, which looks like it’s the kind of non-fiction I would like! 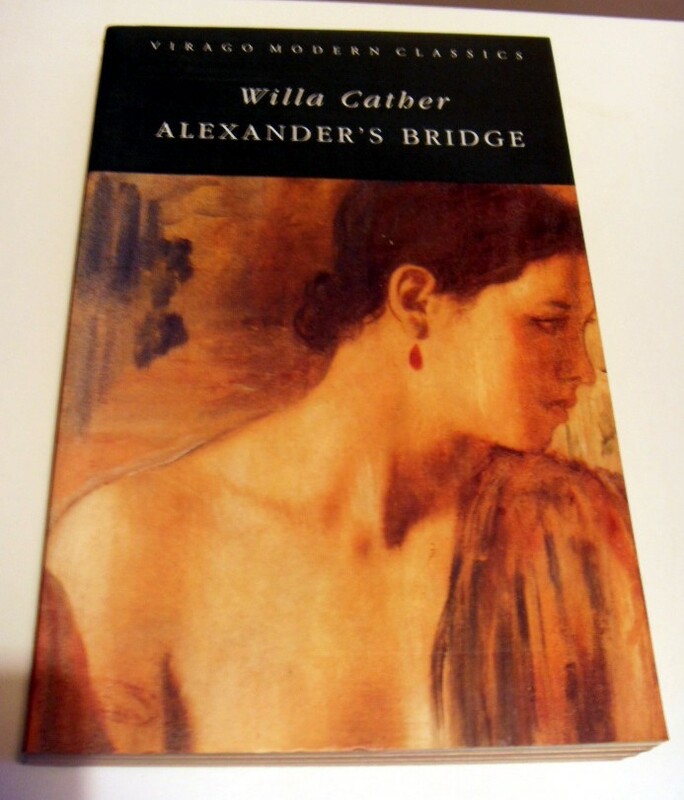 Alexander’s Bridge came from the Claude Cox bookshop – a bargain at £2, and I’m keen to read this after Ali’s wonderful review of it. And finally – a Persephone and a Brian Aldiss from the Oxfam! The Persephone is The Making of a Marchioness in very nice condition. 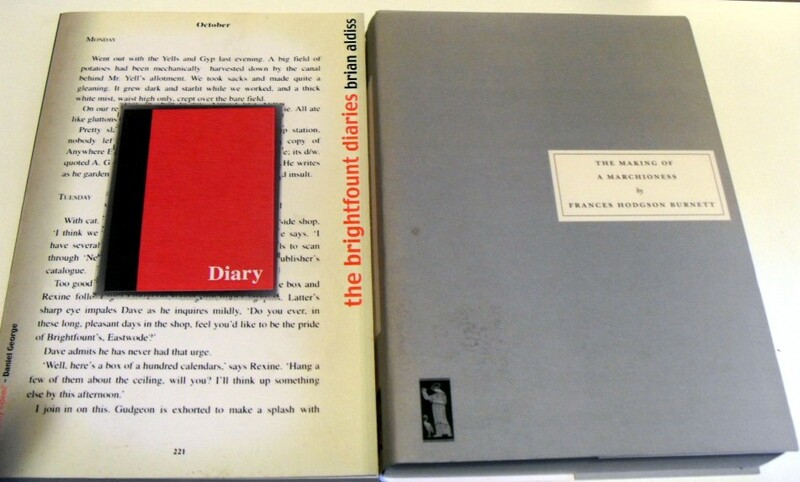 The Brian Aldiss is a little left-field, but I’ve been intrigued by him for a while and as I’m not so good with hard sci-fi, I thought this would fit the bill – The Brightfount Diaries is apparently a series of witty diary entries by a bookseller living in a bed sit. At 40 pages, this has to be one of the shortest crime books I’ve read, but despite its abbreviated length it was surprisingly effective! The story is set in Sicily, and tells the tale of the murder in a small town of a local diplomat who has discreetly returned to his house, after having been away for many years, and who is found shot. At first it seems to be suicide, but thanks to the efforts of a keen young sergeant, the higher-ups are persuaded it really was a murder and have to investigate. For such a brief story there really is a lot going on! There’s a generous cast of characters, from the diplomat and his family, the local police, the local Carabinieri (a kind of military police, I think) plus the local people and various passers-by. The locations, the people and the events are conjured vividly and convincingly and despite its brevity, you really get involved with this mystery and its solution. As to the latter, I’m going to say very little because there are some wonderful surprises in store for any reader. Highly recommended! 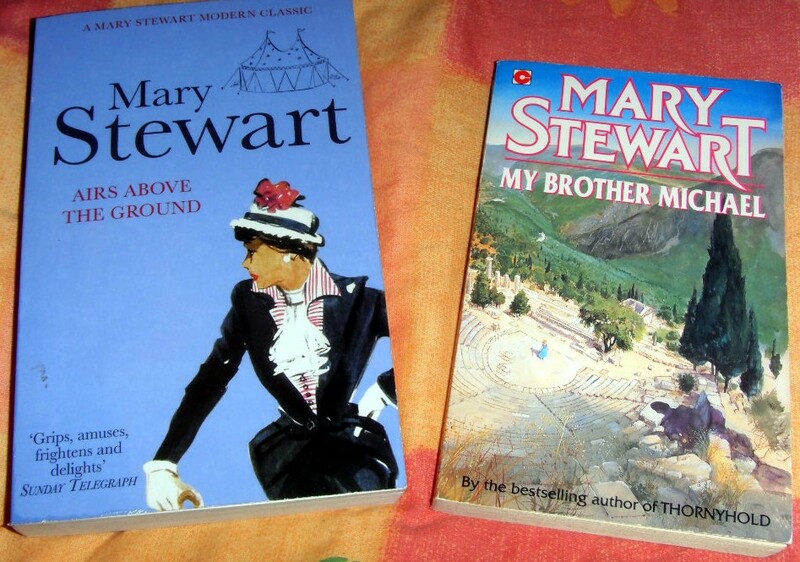 I read Mary Stewart in my teens, but only the Arthurian books, and so the recent spate of reviews during Mary Stewart Reading Week piqued my interest. 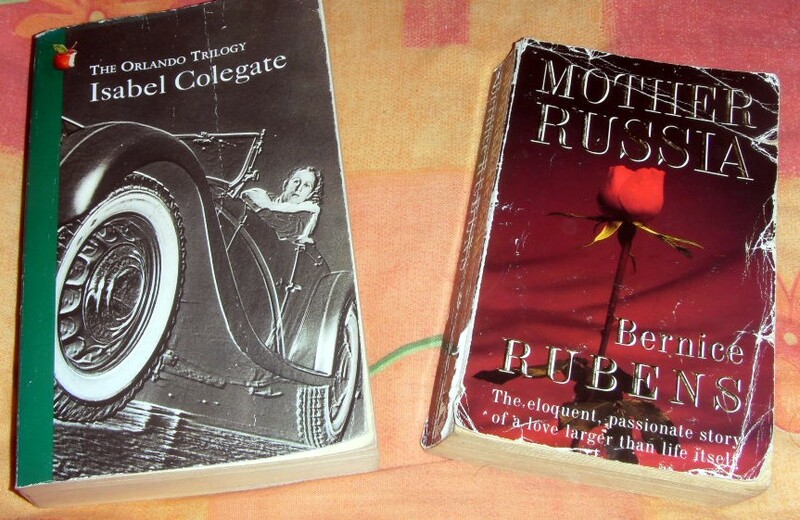 These two titles came from ReadItSwapIt, which I have got rather attached to recently, having had some very succesful swaps – so no cost except for postage in sending away books I didn’t want any more! 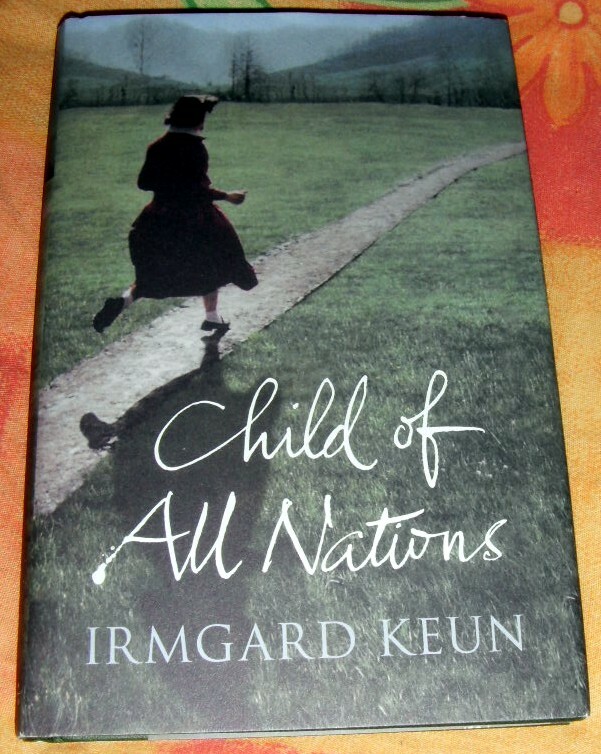 I discovered Irmgard Keun recently, and having found “After Midnight” really rewarding, had a little browse on RISI. 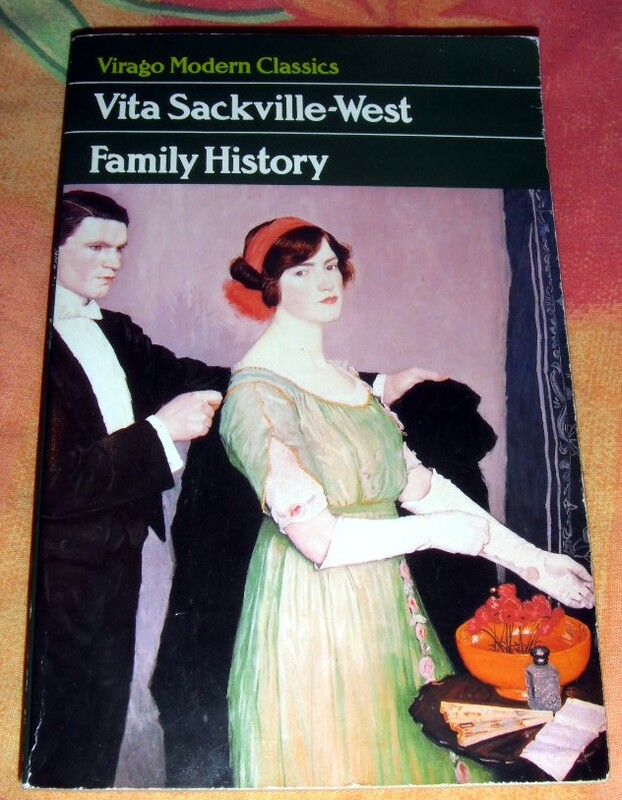 That’s where this lovely book comes from – a hardback Penguin classic! Well, there’s a little saga attached to this. Liz at Adventures in full-time self-employment reviewed this one recently, and I loved the sound of it but decided I wanted it in a Virago green edition. I was seduced again by A****n – a copy from a reseller described as “Very Good” and only £1.94 with delivery – but I should have known better. It arrived with a heavily creased spine, looking as if somebody had tried to bend it across their knee – NOT IMPRESSED! A quick look on RISI revealed a copy which the owner was willing to trade, and it just arrived and is much lovelier condition. I still have to decide whether or not I want the bother of returning the other copy, or whether I shall offer it on LibraryThing! 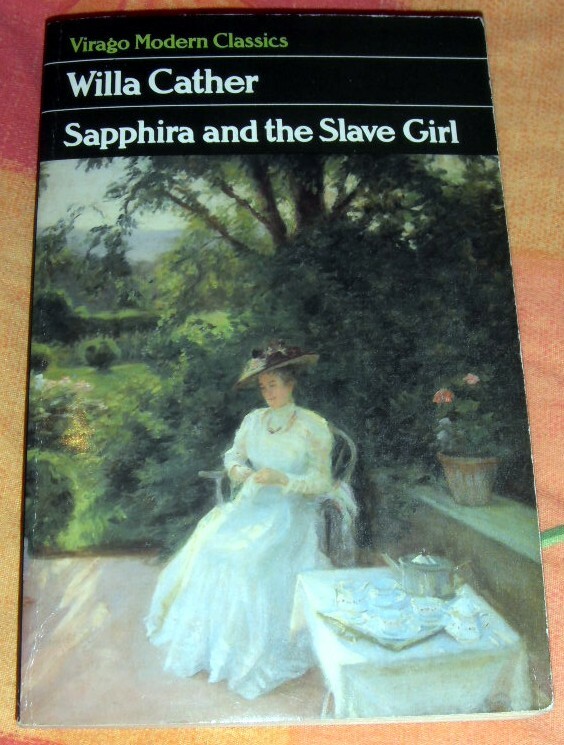 Another new Virago, this time from the local Oxfam charity shop – £2.49 and in lovely condition so that isn’t too extravagant! 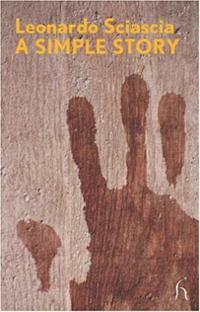 And it sounds fascinating too – Cather’s last book! Annabel’s lovely blog celebrated its 5th birthday recently and she ran a giveaway – I was lucky enough to be one of the winners and so Mrs. Bridge arrived here via Annabel and the Book Depository – thanks, Annabel!! One of my favourite publishers, Hesperus Press, have started a book club here, and this is the October book which has arrived for review. It sounds right up my street – can’t wait to get started! And finally – phew! 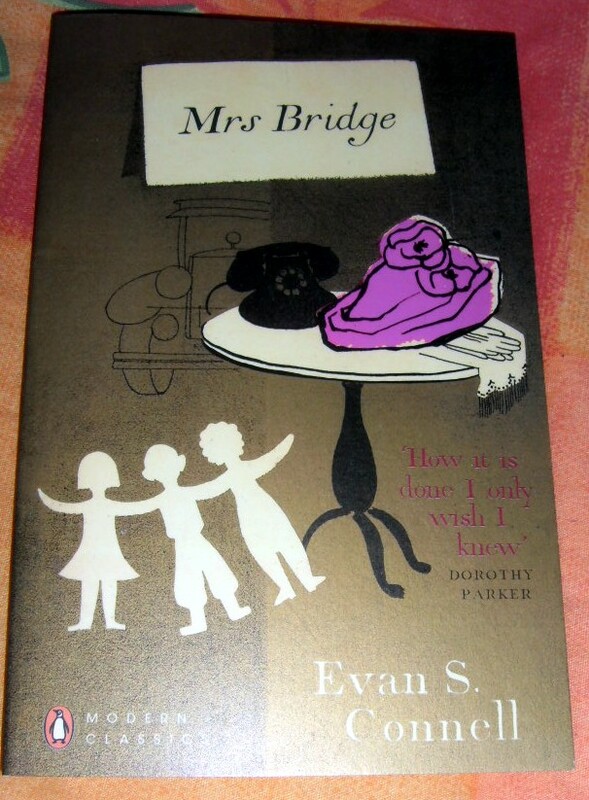 – one of the few clickety-click on-impulse buys recently. I was fascinated by the Vulpes Libris post here and so snapped up one of the reasonably priced copies (hardback! 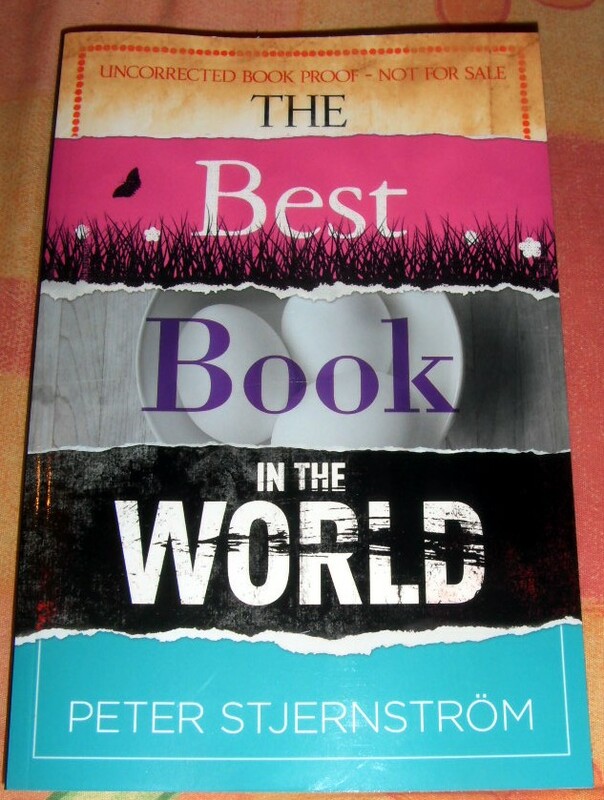 decent dustjacket!) 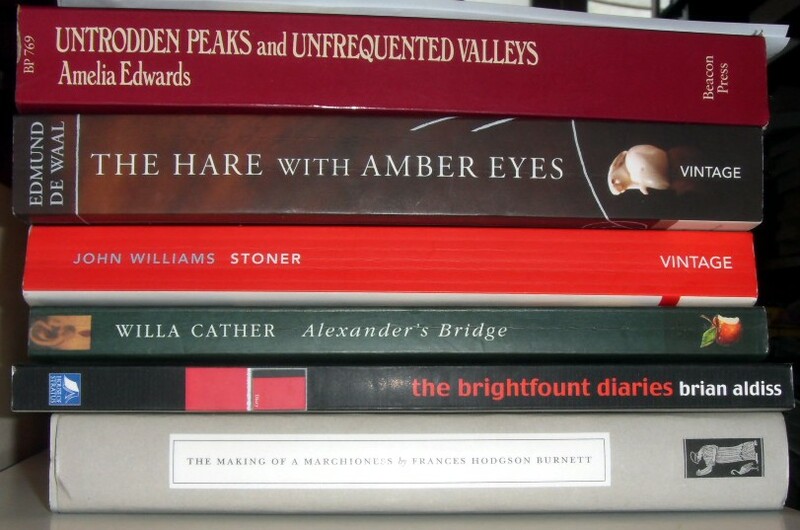 before they all vanished (as we have seen in the past when book blogs start trends). And so to the chunkster! My love of Dostoevsky’s work will be well known to any reader of this blog, but I’ve tended towards his shorter works recently. However, since starting the Ramblings I’ve managed two really huge works in the form of Solzhenitsyn’s “In the First Circle” and Tolstoy’s “Anna Karenina” – interesting how they’re both Russian! 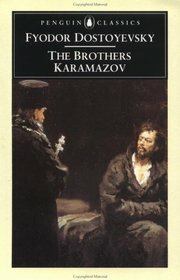 So I have plunged into “The Brothers Karamazov”, in the Penguin David McDuff translation, and am about 400 pages in. It’s remarkably readable despite being quite dense – fortunately the chapters are relatively short and although there is much debate and discussion, it somehow isn’t as ponderous as parts of Karenina were. Watch this space to see how I get on!